Enter a world unlike any seen before. Avatar takes us to the lush, beautiful planet of Pandorum, where the native Navi are being pushed further and further back into the jungle by their power crazed Earth visitors who want to mine the planet in order to get rich back home, on an Earth that has already been destroyed by humanity. James Cameron makes his first foray back into the world of cinema since Titanic piled on the awards and box office sales in 1997. This time around, his money was certainly not wasted in creating the ultimate 3D experience that has left viewers and critics’ alike raving about the detail and authenticity of his work. The Navi, the 9-foot tall locals, do not much care for the Earthlings, who have left carnage and destruction in their wake—all they want is to be left in peace. It takes a crippled Jake Sully (Worthington) to enter the consciousness of a genetically created Navi by the team of Dr. Grace Augustine (Weaver) before the Navi are able to throw off the yoke of colonialism. The film is undoubtedly epic and one that will be difficult to surpass in its digital detail and creation of a world so very different from ours. So convincing is the 3D display that many may not want to leave this land of splendour. Still, Avatar leaves too much unexplored in the script, and its clichéd writing leaves little room for nuance. This movie has such spectacular detail and creativity that the visual effects take over, and neither the writing nor the storyline have to be top notch to earn the ratings. The Navi are supposed to represent displaced people in our own time, and whether or not this film is about the Palestinians or the Native Americans of North America, the story is moving, if not the most original. 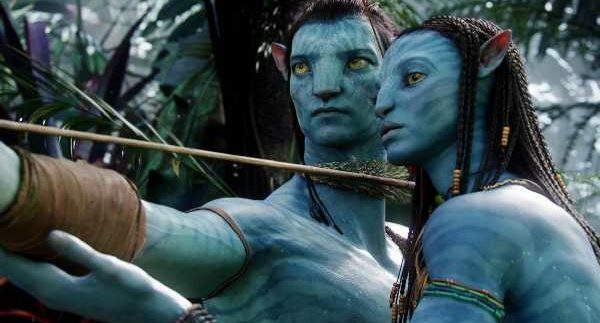 Avatar is a grand movie and one that is certain to be enjoyed for years to come, even while its colonialist and political undertones fail to evolve from the idea that the West is the best. Take it with a grain of salt when watching and enjoy the beautiful cinematography that makes Avatar the movie experience of 2009/10. Get to the theatre early to book the centre seats so you can fully appreciate the whole 3D effect.